In 2015, an unprecedented outbreak of invasive Group B Streptococcal infection occurred in Singapore. Initial epidemiology linked infections to the consumption of raw fish. The causative bacteria was a serotype III, ST283 strain of GBS. Whole genome sequencing was performed on human and fish ST283 isolates from Singapore, Thailand and Hong Kong. Genomic analysis of over 200 ST283 strains sampled from 1998-2015 showed that the 2015 outbreak was caused by a single strain of ST283 GBS. We identified that the same strain of ST283 has been causing infections in Singapore since 2011. A Bayesian analysis predicted that ST283 emerged in 1994 (95% confidence interval 1991-1997). We used bacterial genomics to establish a definitive link between raw fish consumption and invasive GBS disease. Our work, combined with previously published studies, indicates that ST283 has been in Southeast Asia for nearly 20 years and raises the hypothesis that many of these infections have been foodborne, an unprecedented route of infection for GBS. I will also discuss lessons learned with respect to the use of whole-genome sequencing for outbreak investigations. 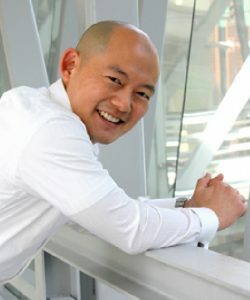 Dr Swaine Chen is a Senior Research Scientist in Infectious Diseases at the Genome Institute of Singapore and an Assistant Professor of Medicine at the National University of Singapore. His work combines his training in medicine, biology, chemistry, and mathematics to understand how and why bacteria are able to cause infections in humans. This understanding, in turn, may enable us to detect and treat infectious diseases more effectively and more quickly in the future. Another major aspect of his work is using DNA sequencing to detect and understand outbreaks of infectious diseases, especially those that are unexpected, like the Group B Streptococcus outbreak associated with yu sheng fish in 2015 in Singapore. He completed his M.D./Ph.D. at Stanford University in Developmental Biology, followed by a postdoc at Washington University School of Medicine in St. Louis. He has published 48 peer reviewed manuscripts.